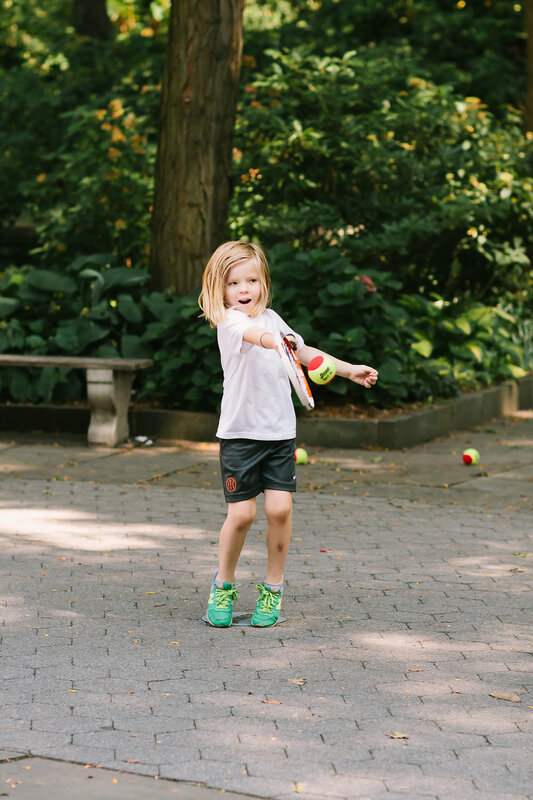 Red Tennis — Kids Tennis Co.
(4:1 student-to-teacher ratio): A play-based program for children who have some exposure to tennis that builds on their skills to teach them to serve, rally, and score! 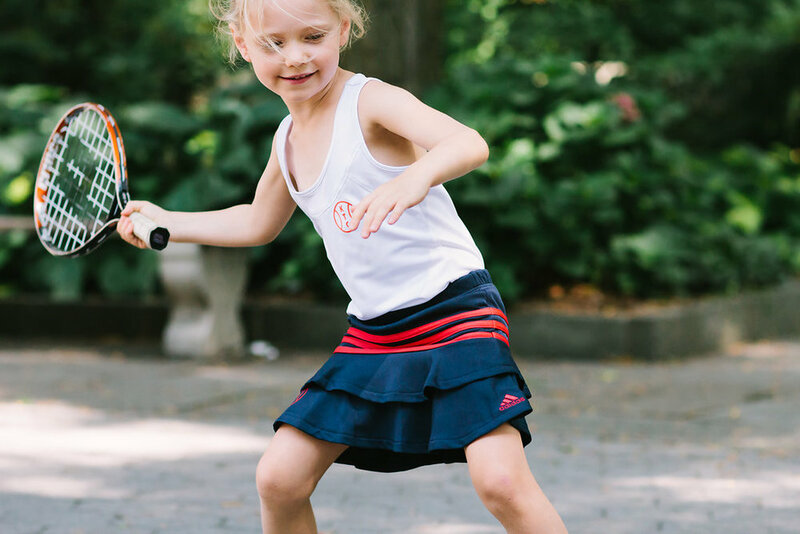 Players are introduced to fundamental tennis and athletic skills through fun, relaxed activities. Activities focus on the ABC’s (agility, balance, coordination and speed), as well as the ability to send and receive the ball. By the end, players have the beginning skills needed to serve, rally and score. This is the most introductory level in the 10 & Under program. 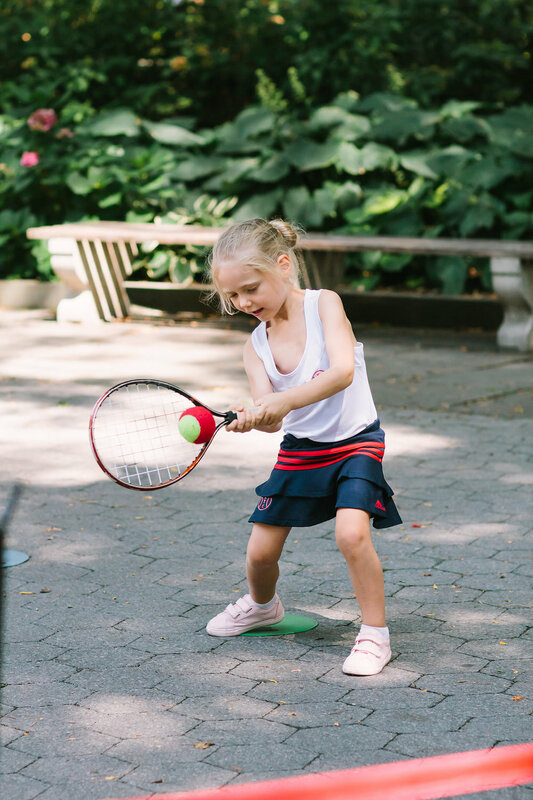 Players are introduced to fundamental tennis and athletic skills through fun, relaxed activities designed to build a solid foundation for long-term athletic development. Activities are focused on developing the ABC's (agility, balance, coordination and speed), as well as the ability to send and receive the ball. At the end of RED 1, players have the beginning foundational skills necessary to serve, rally, and score. EQUIPMENT & COURT SIZE: Players use low-pressure, red foam and red felt balls. Classes are conducted on 36’ courts. At this level, players continue to work on fundamentals, but there is a greater emphasis on improving their stroke technique, footwork and rallying skills. During RED 2, you’ll begin to see greater mechanics and consistency of play. 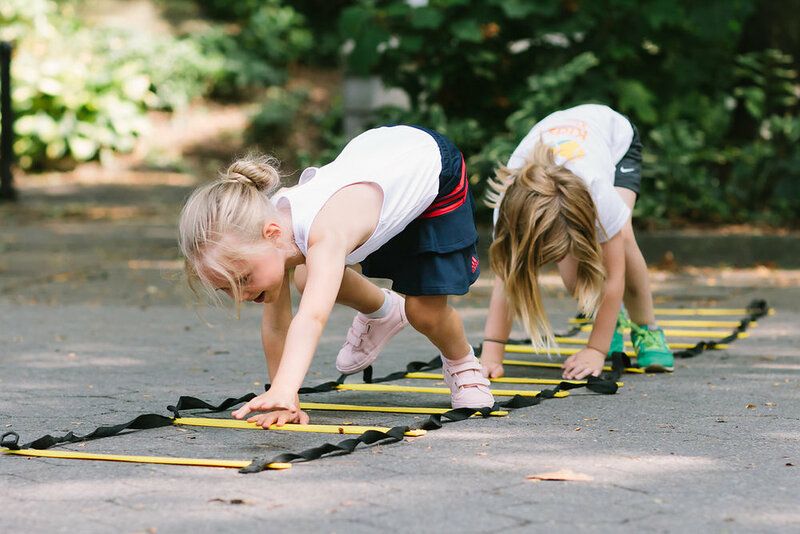 We continue to focus on the ABC’s (agility, balance, coordination and speed) to improve your child’s athleticism. At the end of RED 2, players have a much stronger grasp of the fundamentals, including stroke technique and rallying skills. EQUIPMENT & COURT SIZE: Players play with red and orange felt balls on a 36’ court. All KTC coaches are certified teaching professionals and have undergone rigorous training to learn the 10 and Under curricula & methodology. Register for Spring & Summer Semester HERE!